Get up to 7 free auto shipping quotes from the largest, most trusted Washington auto transport companies and save up to 50% on your car shipping rates at CarMoves.com. Car shipping companies in Washington compete for your business, which is how you can save hundreds, if not thousands of dollars on car transport services by shopping with us. Whether you're shipping a car to Washington, across the country, or even overseas, we can help you get the best price on your shipment - guaranteed! Read more about the following auto transport companies in Washington before getting a quote. Click on the name of the company to read a full review. Get a free auto transport quote today to find out how much it costs to ship a car to or from Washington! Washington state is located in northwestern US, along the Pacific coast just south of Canada. The state is one of the most identifiable in the country, with some fairly unique geography, including fjords, deep bays, temperate rain forests, and large mountains that ominously loom over nearby cities. While having vast expanses of well-preserved natural landscapes, the state is also quite populous, with an ever expanding number of people located in and around the Puget Sound region. Seattle is the primary city in this region, but Tacoma, Olympia, and Bellevue are all major cities located near the sound. 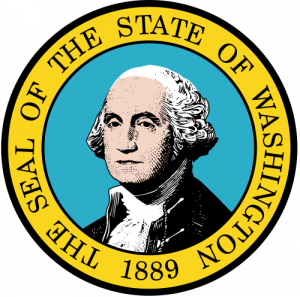 Despite the urban atmosphere that characterizes this area, Washington still manages to be recognized as the cleanest state in the country in terms of public areas as recently as 2011. Washington's economy has taken a different approach than many other West Coast states. Currently, the state does not collect a personal income tax or a corporate income tax, though it does have a base state sales tax in addition to local city sales taxes. Property tax is present, though non-tangible assets are not taxed. As a result, the state is a popular one with many major business. Washington, and the Seattle metro area in particular, has gained a reputation for housing some of the country's biggest high tech and modern company headquarters. Starbucks, Microsoft, Amazon.com, and Costco are all located in and around Seattle. On top of this feat, the area is a humongous port, taking in and shipping out endless tons of cargo to and from Asian ports and other ports in the Pacific. The Port of Seattle not only handles all the sea traffic in the area, but also runs the state's major international airport, the Seattle-Tacoma International Airport. Seattle also has made significant contributions to the nation's arts community. Of course, the most obvious is its developments in the rock music scene, breeding several major metal bands, like Queensrÿche, in the late eighties before launching the grunge movement upon the world in the early 90s. Despite the subsequent demise of the grunge era, the city continues to contribute a significant amount of artists to the indie rock scene, including Death Cab for Cutie and Iron and Wine. Poetry and cinema are both still alive and well in "Jet City" as well. Poetry slams are quite popular with hip locals, and Seattle still maintains a monumental relic of a bygone age in film: the Seattle Cinerama, one of the last remaining movie theaters capable of displaying 70mmm, three-panel Cinerama projection films. Like Portland, Oregon, and San Francisco, Seattle is definitely one of the leading arts communities along the West Coast. CarMoves.com works with car shipping companies throughout the state of Washington. We can help you get the best prices on car transport services to the following cities in Washington: Seattle, Spokane, Tacoma, Bellevue, Everett, Kent, Yakima, Renton, Spokane Valley and many more. If you don't see your city listed, don't worry - we can get your vehicle shipped anywhere in Washington. 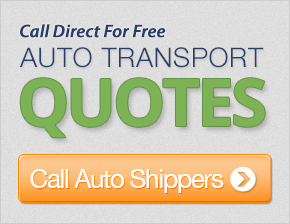 Scroll to the quote section on this page to compare free auto shipping quotes from up to 7 Washington auto transport companies and save up to 50% on your move! View the Washington State Department of Transportation website for more information.